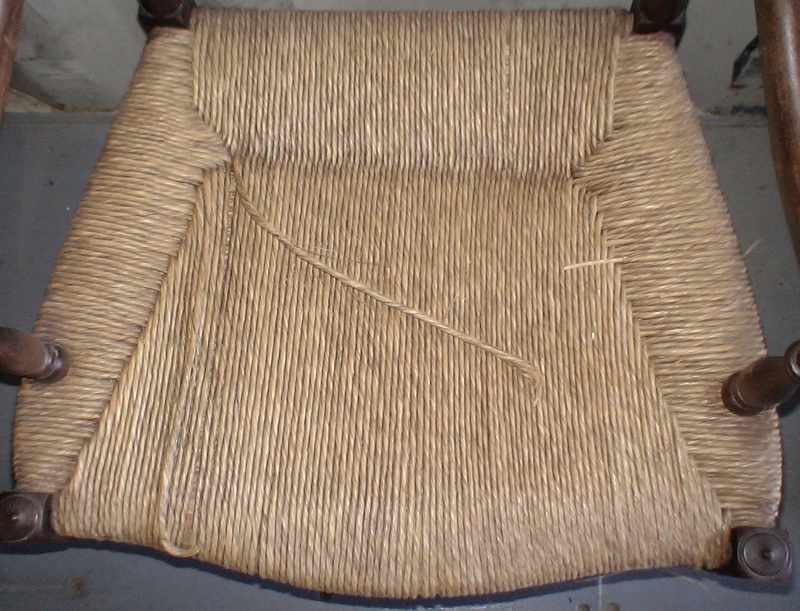 Willow Chair Bar Harbor Style -(before) - Replaced willow magazine rack and made minor repairs overall. 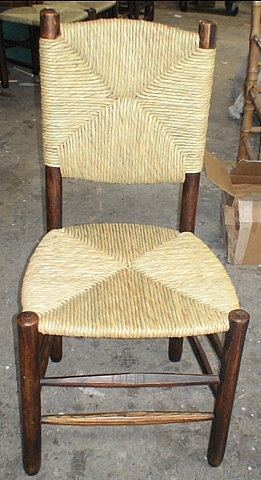 Willow Chair Bar Harbor Style - (after) - Fully restored and repainted. 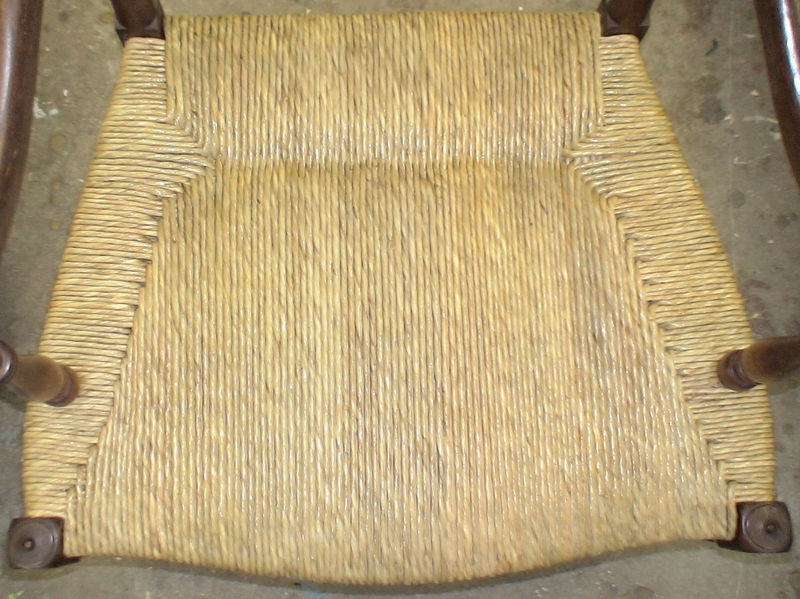 Seat and Back - after - seat was previously plastic coated paper rush which is now replaced with 7/32" sized saltwater pre-twisted rush. Back was also replaced to match the new seat. 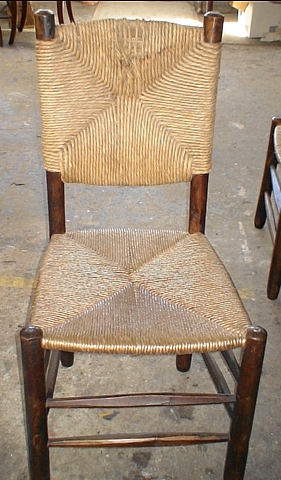 Either chair was from a set of 6 that were all done at the same time so the seat shapes may not match each other. These are just examples of before and after of the set.